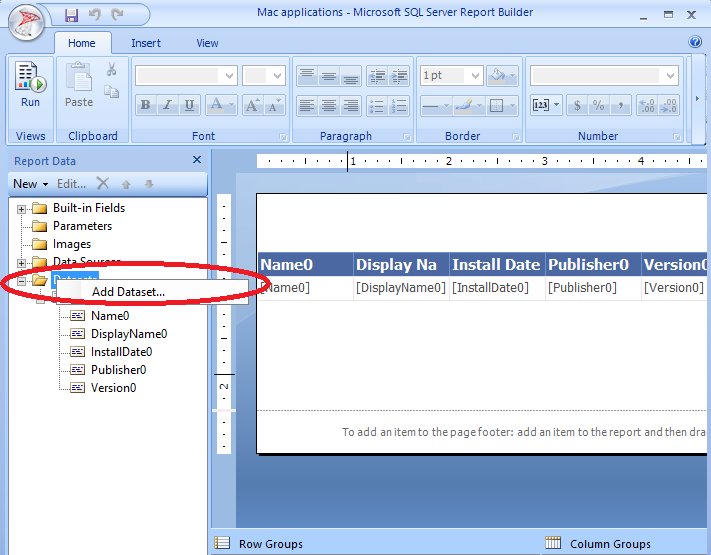 How to create a custom report that shows all applications installed on specified Mac? 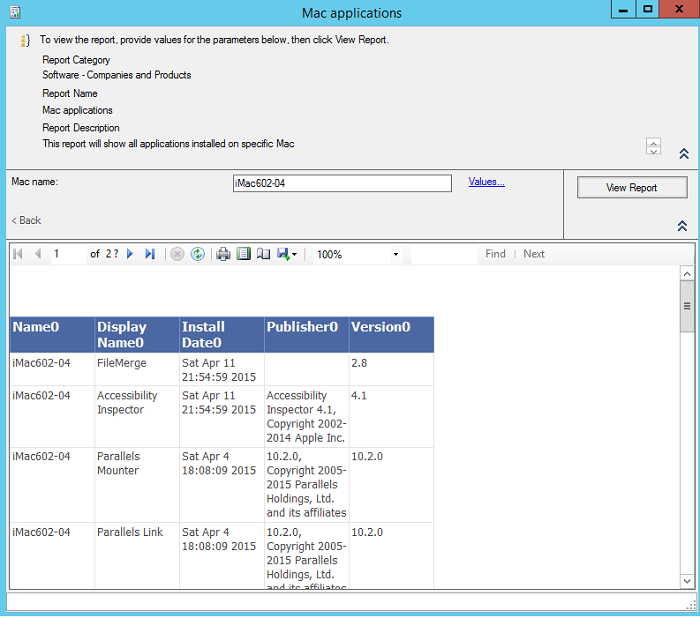 How to create a custom report that shows all Mac's with specified application installed? 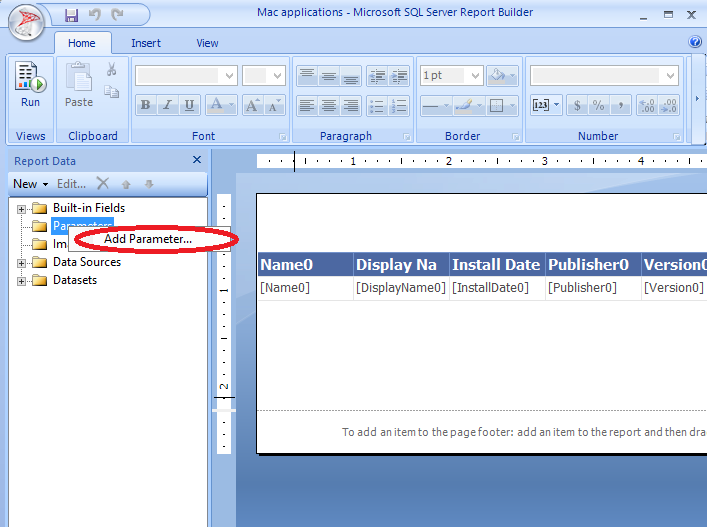 Choose SQL-based Report in Type field. Fill in Name field (e.g. Mac applications). 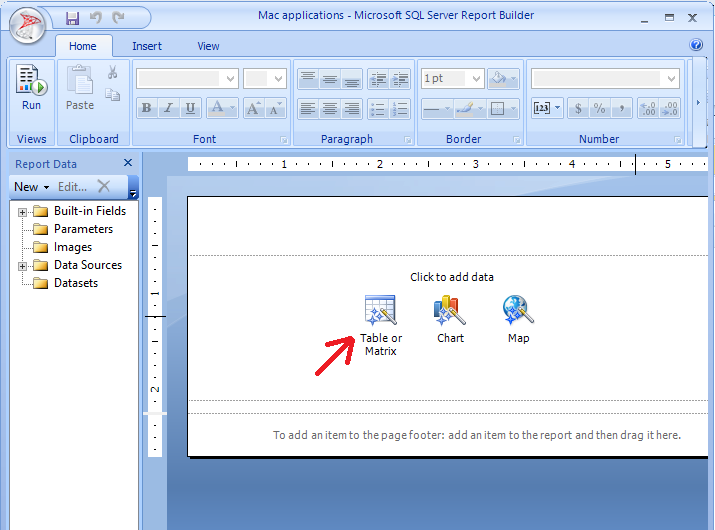 Click Browse... near the Path field and choose the folder you want to store the report in. 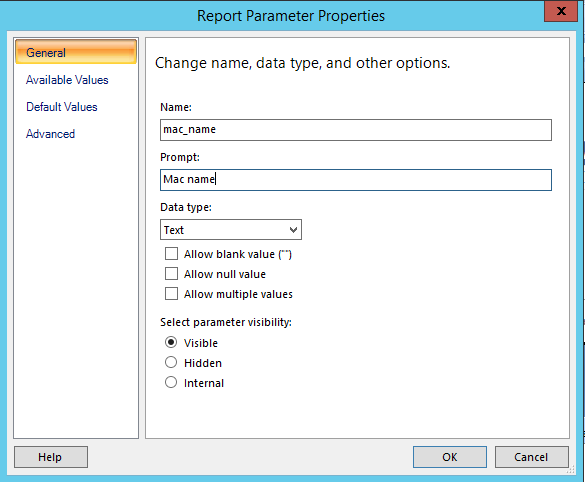 Click Next on Summary page of Create Report Wizard. 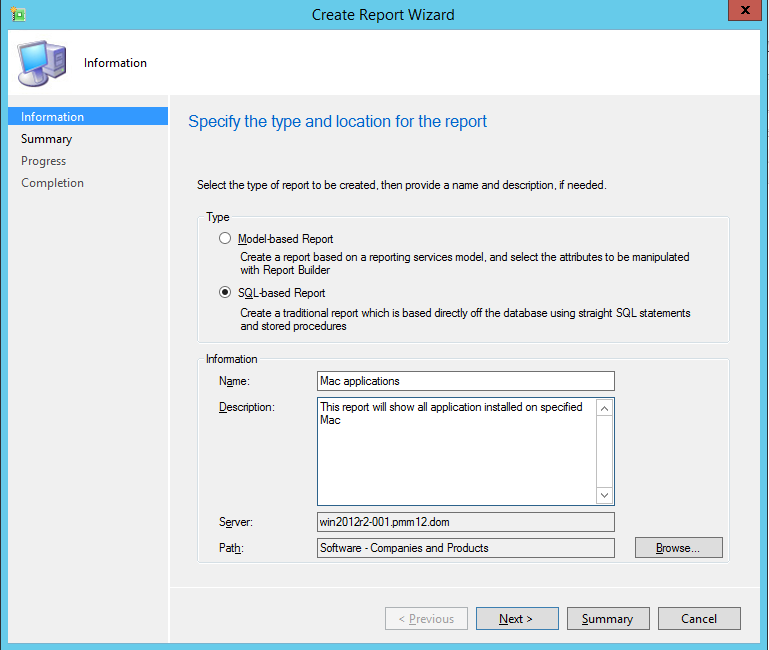 Wait for report deploying is finished and click Close on Completion page of Create Report Wizard. 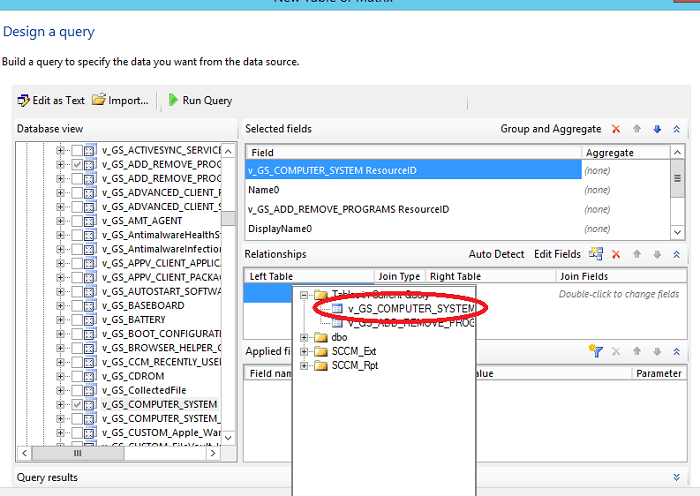 When you finish, you should notice that SQL Server Report Builder should now open (if it's not opened, locate the report you created, right-click it and choose edit). Provide privileged user credentials when asking. 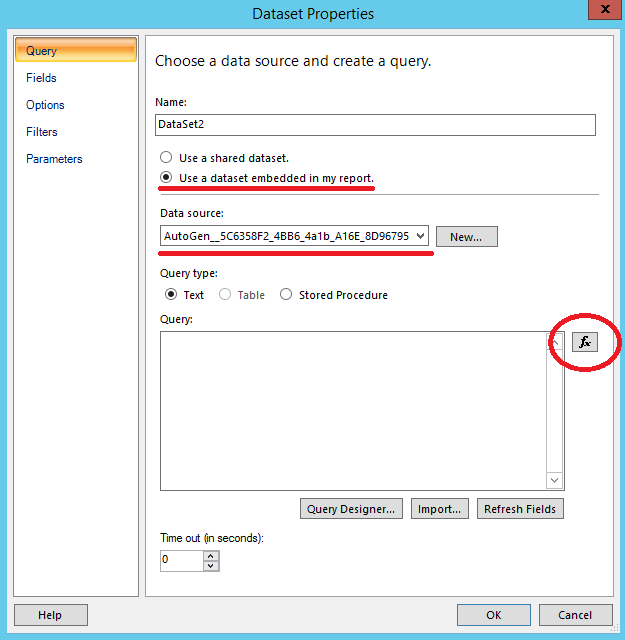 Choose Create a dataset and click Next on Choose a dataset page. 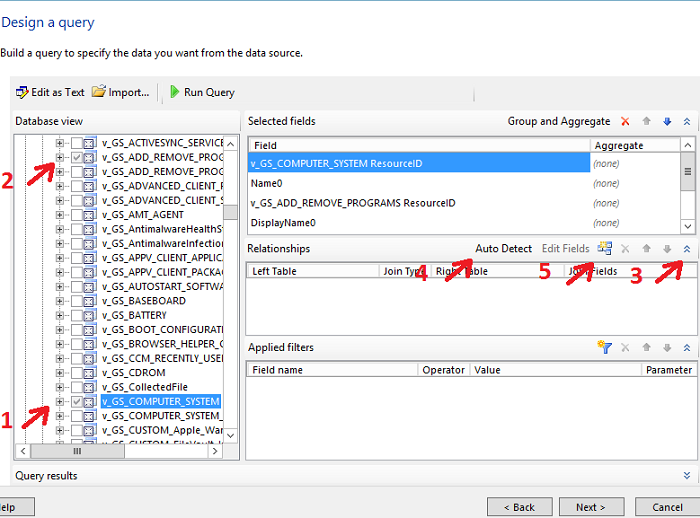 Choose Data Source Connection and click Next on Choose a connection to a data sorce page (if required provide user credentials and click OK in opened Enter Data Source Credentials dialog ). 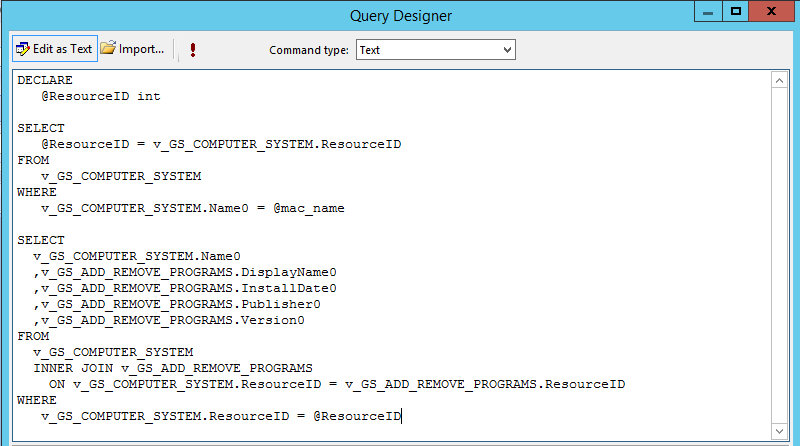 Note: You can use dbo -> Views -> v_R_SYSTEM and choose e.g. 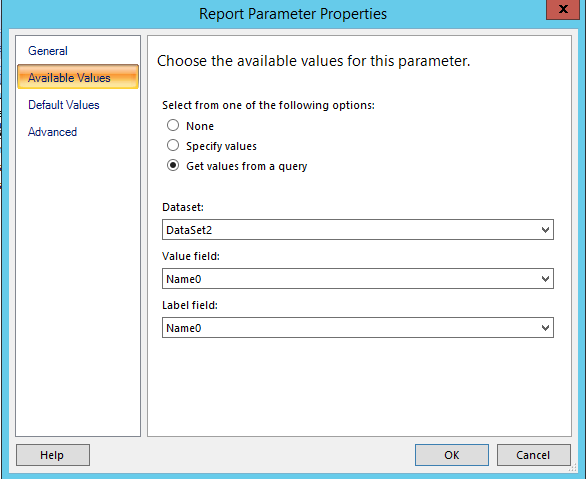 ResourceID and NetBios_Name0 or any other views and fields depending on what data you want the report to contain. Expand Relationships section if it is minimized. Click Auto Detect option (uncheck it if checked). Click Add Relationship button . Double click on cell in Join Fields column. Click Add Field in Edit Related Fields dialog. 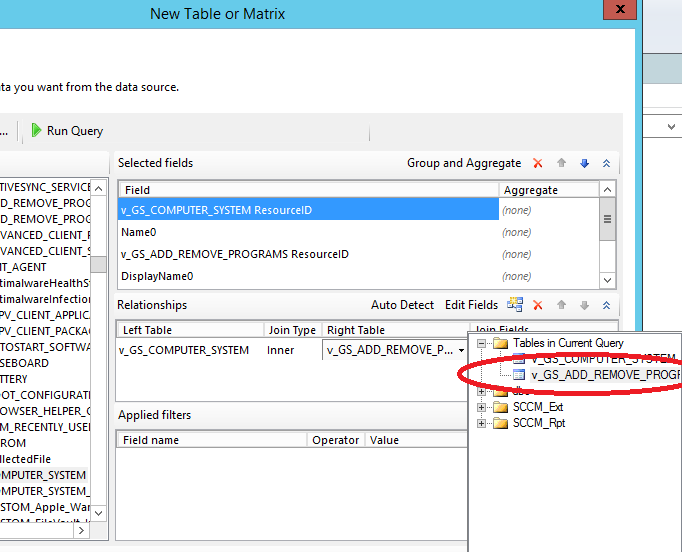 Click on cell in Left Join Filed column and choose RecourceID from opened list. Click OK to close Edit Related Fields dialog. 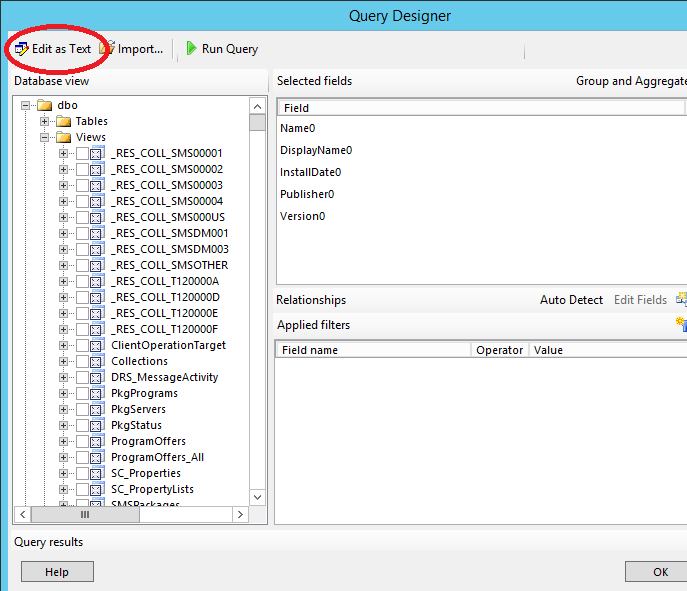 Click Run Query to view the result and check that query works. 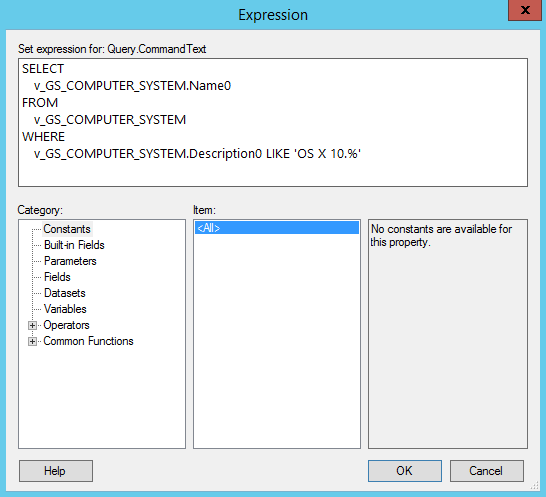 Click Next on Design a query page of New Table or Matrix dialog. 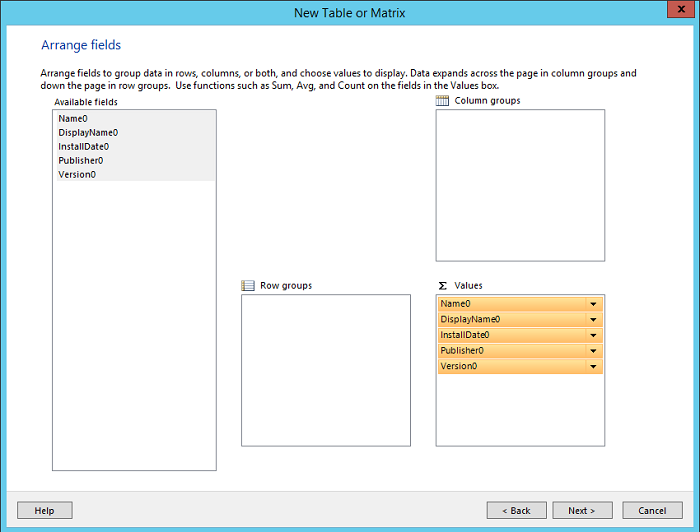 Select all fields in Available fields box and drag and drop them into Values box on Arrange fields page. Click Next on Arrange fields page. Click Next on Choose the layout page. Choose style and click Finish > > on Choose a style page. NOTE: Parameter @mac_name can be different depending on the one you specified in step 12. Click OK to close Query Designer. 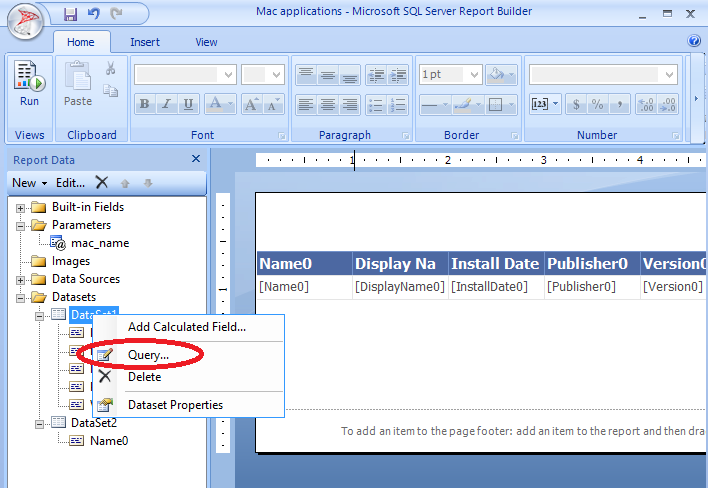 Click Save button on Microsoft SQL Server Report Builder dialog to save the created report and close it.